Ashampoo Photo Recovery helps you easy recover photos that were lost either by accident or due to technical failure. Deleted photos by mistake? Your memory card has become defective? Photos hold an irreplaceable, immaterial value. Whether it's wedding, vacation, holiday or childhood images, they remind us of the most memorable moments in our lives. If they are lost, either by accident or due to technical failure, the damage will be considerable. That's when you'll be glad you have Ashampoo Photo Recovery at your disposal, the photo recovery specialist! Finds images in PDF, EXE or word files. Recovers photos from damaged RAW files. Convenient presets for many uses cases. Optimized for over 20 RAW formats. Also optimized for Windows 10 and high resolution displays. Special search filter for rare formats (e.g. APCDOC, PSD, TGA, PCX, SGI). Supports modern formats (JPEG 2000, WebP, JPEG XR). Over 20 different RAW formats supported! Search by size or resolution for better results. Recover individual frames from multi-page images (animations etc.). 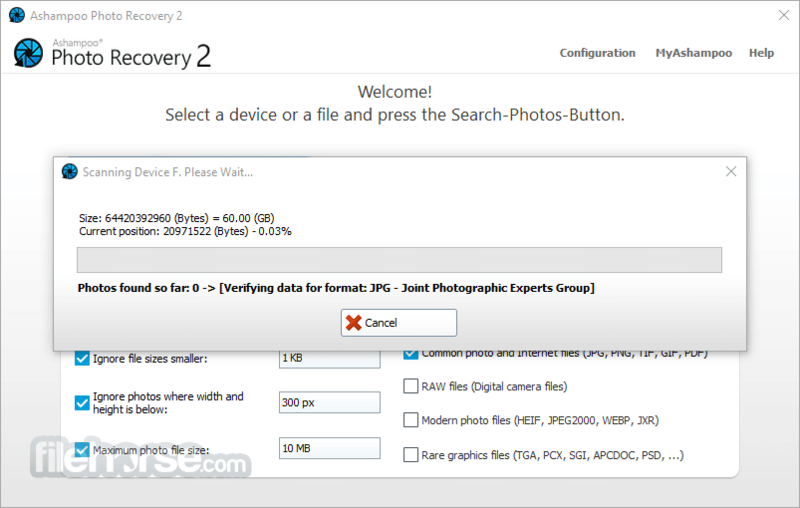 Recover deleted or corrupted image files. 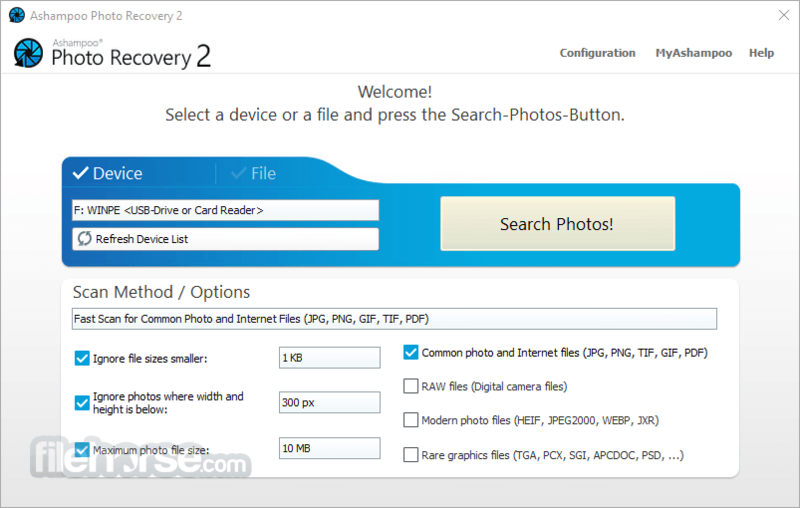 Recover photos from formatted disks.